Reddish Design is a design studio based in Amsterdam and is founded by Rozanne Snabilie and Nathalie Rotteveel. The two designers met during their studies at the Amsterdam Fashion Institute. After graduation they decided to combine their creative skills and their enthusiasm to start their own design studio. 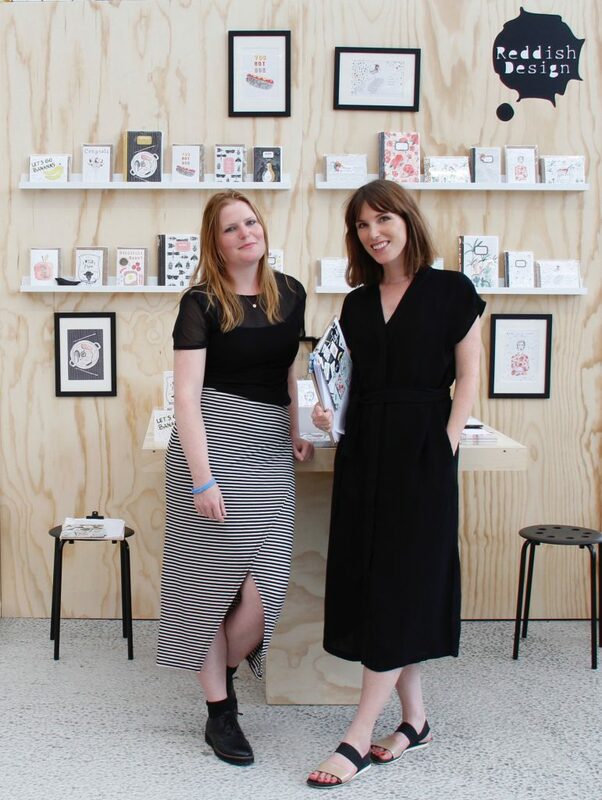 Next to their own product line with illustrated cards, posters and notebooks, REDDISH STUDIO focuses on their commercial work for several magazines and fashion & lifestyle brands. With love they design everything from fashion prints & patterns to packaging and children books to wallpaper and editorial illustrations for magazines. The Reddish Design style is quirky, refined, contemporary, illustrative and packed with humor. The designs are always made by hand, using several techniques. Tools like paint, crayons, pencils, paper clippings, stamps, ink are their best friends.